The Fresno Canyon Trail offers great views of ancient mountains in all directions. Here, the distant Solitario and Flatirons can be seen. This image was taken on a cool Spring morning. 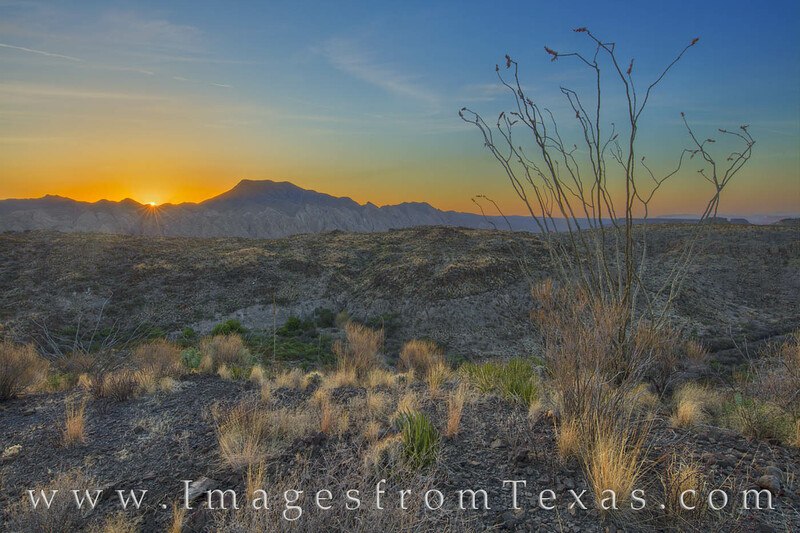 An ocotillo rests quietly in this Big Bend Ranch State Park sunrise.